Written by Lila MacLellan for Quartz at Work. It’s hard to imagine a time when people were not stress-literate, so to speak. 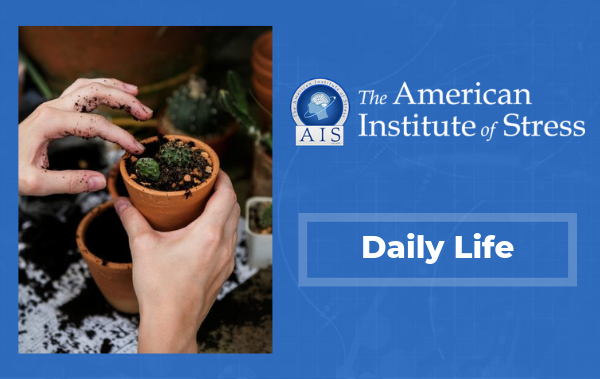 These days, we routinely recognize the red flags of chronic stress on the body—the fatigue, the low moods, the headaches, and frequent illnesses—if not in ourselves than in others. 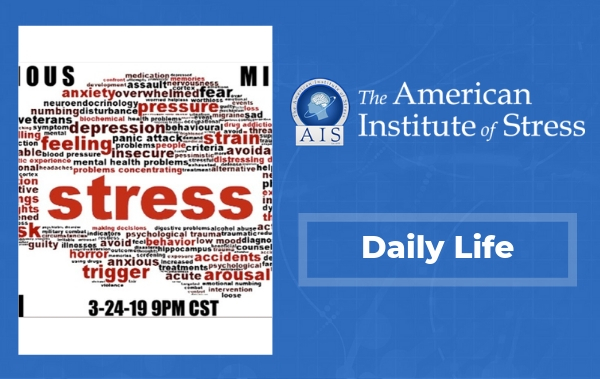 We remind friends or family or colleagues who appear to be marching toward a tipping point, at which stress unravels into long-term burnout, that shouldering too much can have physiological consequences. But the biological concept of stress, or the stress response, was not popularized until the 1950s, although its quiet medical debut occurred in 1936, in the science journal Nature, under a different name, “A Syndrome Produced by Diverse Nocuous Agents.” Hans Selye, the late Hungarian-Canadian endocrinologist and so-called “father of stress,” described in Nature his work with lab rats in Montreal, where he had determined that any stimulant, or stress, would trigger the same chain reaction. Disease didn’t kill the rats, he found, but stress did. He made the accidental discovery while conducting research into ovarian hormones. His work was not immediately recognized as paradigm-changing. Conventional belief held that specific diseases led to a specific pathology, end of story. But Selye found that in every disease, stress also played a role, and in some cases a decisive one. The general adaptation syndrome, he said, unfolded in three stages: alarm, resistance, and exhaustion. By 1950, he had rebranded the whole bundle of behaviors as stress. Though subsequent research showed that his radical theory didn’t get everything right, he sparked a field of study that has since traced the stress response’s connection to chronic diseases like arthritis, diabetes, and heart disease. He was nominated yearly for a Nobel prize from 1949 through 1953. The powerful principles behind his theory would also not be contained to medicine. They spilled over to other disciplines, affecting theories on political systems and social psychology. 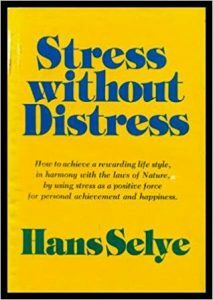 They led Selye to write Stress Without Distress, an early guidebook to living a content life by maintaining homeostasis in your body and relations. In the early 1970s, Selye was already talking about gratitude as a balm against the “wear and tear” of daily life. Still, Selye’s philosophy of stress was maligned in his time for being too imprecise, too murky. Arguably, we’re still missing out on some of its benefits because of a lack of clarity about the word itself. Selye spoke eight languages, which didn’t safeguard him from choosing the wrong English word for his project. “Selye several times complained to me that had his knowledge of English been more precise, he would have gone down in history as the father of the ‘strain’ concept,” Paul Rosch, a friend and colleague of the late scientist, writes in an essay for the American Institute of Stress, which Selye founded. Meanwhile, in popular culture, stress quickly took on a negative connotation. The public’s understanding was that stress existed outside of ourselves and was to be avoided, which contradicted Selye’s position. He posited that stress was unavoidable, because it was literally a function of every adaptation to change. Even in our sleep, our heart still has to beat, we still need to breathe, our adrenal system is still responding to dreams, we’re still under stress, he told an interviewer for the Canadian Medical Hall of Fame. “The opposite of stress is death,” he said. “One of the biggest challenges is the emotion that’s wrapped up in most people’s definition of and experience of stress,” she adds, “rather than it being something that triggers emotions based on a set of factors,” like the stress load or how much control a person might have over the situation. The scientist had tried to take corrective measures. He began referring to the causes of stress as “stressors,” and he later advocated for dividing stress into the positive “eustress,” and negative, “distress.” But popular culture was racing ahead, churning out diet tips, self-help books, and later, candlelight yoga, boot camps, bath bombs, magic dust, and screaming therapy. The introduction of “stress” has led to a stress-busting industrial complex worth billions. 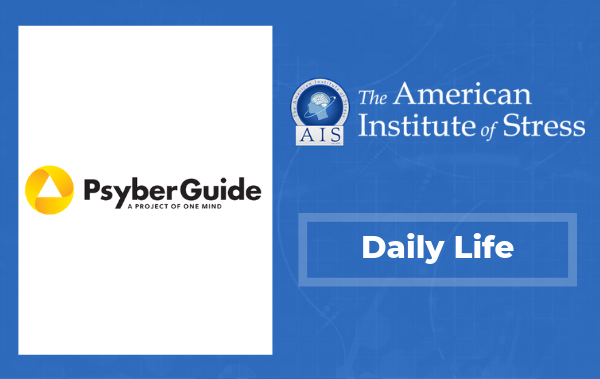 But the institute he founded—its home page on the internet is stress.org—has not dropped the original broader message. “We are attempting to take the emotion out of the word stress to help people identify it as the gap between demand and capacity, to recognize the early signs when stress is too much or goes on too long so that they can minimize demand or maximize capacity,” Hanna explains. The group is not alone in this mission. A 2013 TED Talk about the upside of stress, by public health researcher Kelly McGonigal, has helped to get the word out, too. Some studies have taught us that our perception of stress affects how damaging, or not, it will be. Others suggest that moderate amounts of stress seem to improve learning and memory. Rather than bemoaning stress or avoiding it, or worse, feeling proud of having an abundance of it, perhaps the best advice now is that we ought be practicing methods for transforming it. The story of Hans Selye is perhaps waiting for its Hollywood treatment, starring a complex scientist who changed our culture, but never became a household name. Selye’s legacy is mixed: He’s praised for taking a bold, inventive approach to research, but the varying methods he used to torture, starve, and stress out rats in his Montreal lab would be considered unethical today, writes medical historian Mark Jackson in Stress, Shock, and Adaptation in the Twentieth Century (University of Rochester Press, 2014). As tempting as it is to credit one visionary for a piece of brilliance, Selye also can’t be understood outside the context of his era. As Jackson notes, in the early part of the 20th century, theorists across disciplines were developing ideas about our adaptive or maladaptive responses—to war, to accelerated industrialization, to new technology, and to fast-changing social norms. Dubious “nerve tonics” were already widely advertised. Speaking publicly and in his writing, Selye would connect his lab observations with those he made while studying medicine in Prague, before his move overseas for a research fellowship at John Hopkins University, and eventual relocation to Montreal’s McGill University. (In time, he’d move to Université de Montréal, before opening his own research institute.) Though the patients in Prague didn’t share a diagnosis, he often recalled, they looked and behaved similarly, “showing mild or severe lethargy, sometime even depression,” writes Jackson. Sure, Selye may have noticed what “sick” patients had in common, as he claimed, but other scientists were already discussing a systemic biologic response to strain, too. Walter Cannon, the American physiologist who introduced the fight-or-flight response, and who influenced Selye’s work, had coined the term “homeostasis,” defined as “the adaptive mechanisms that preserved functional stability in the face of environmental change.” Cannon also wrote that “great emotional stress” could trigger “uncontrolled hormonal secretion, particularly from the pituitary, thyroid, and adrenal glands,” which would “play havoc with our internal adjustments” and lead to disease. Their theses are remarkably similar. Yet, importantly, Selye advanced our understanding of chronic strain, while other scientists had focused on acute forms of stress. But a damning mark against Selye’s reputation surfaced in 2011, long after his death, when public health researchers in London uncovered a surprising piece of his history. In the late 1960s and early ’70s, Selye was one of many scientists globally who made covert contributions to the tobacco industry’s “Project Whitecoat,” a coordinated, well-funded effort to recruit scientists who would characterize tobacco as benign. Internal tobacco company documents reveal that Selye had provided arguments contending that heart disease might reasonably be the result of any number of stressors, and that it would be difficult pinpoint smoking as a cause when the patient could be dealing with a host of issues. Tobacco’s spin doctors also exploited his rationale about adapting to stress through “diversions”—like cigarette smoking—that would cancel out the pressure from other stimuli. Ironically, the father of stress has never had to answer for his work that contributed to so much more of it.